Following on from our last posting, the residents objecting to the multi unit developments in Mavho and Loranne Streets, Bentleigh have forwarded to us the below advice of dates for the Mavho Street Planning Permit application, ie. We encourage residents residing in and around the 2013 implemented high density zones (ie. the former Housing Diversity Areas) to attend both the planning conference and Council Meeting to gain an understanding of the grounds for objection applicable to these zones and Council’s planning permit and objection handling processes. The 2013 “new” zone implementation built on the concept of focussing development in locations designated as high density areas under the previous Housing Diversity/Minimal Change Areas policies (implemented in 2002). 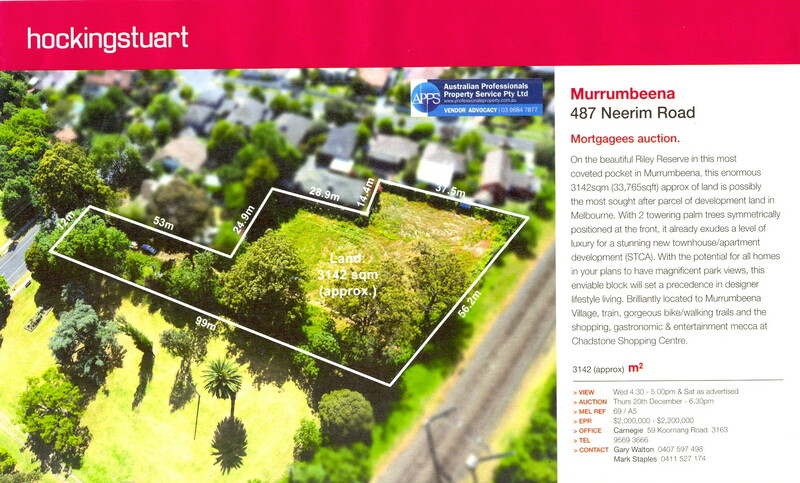 Unfortunately, while the new zones streamlined the planning permit approval process by prescribing height limits within the zones, the much heralded “certainty” provided by prescribed height limits also removed building heights from being a ground for objection if the development’s height (which excludes roof infrastructure, eg. lift wells, air conditioning units) complied with the prescribed height limit. 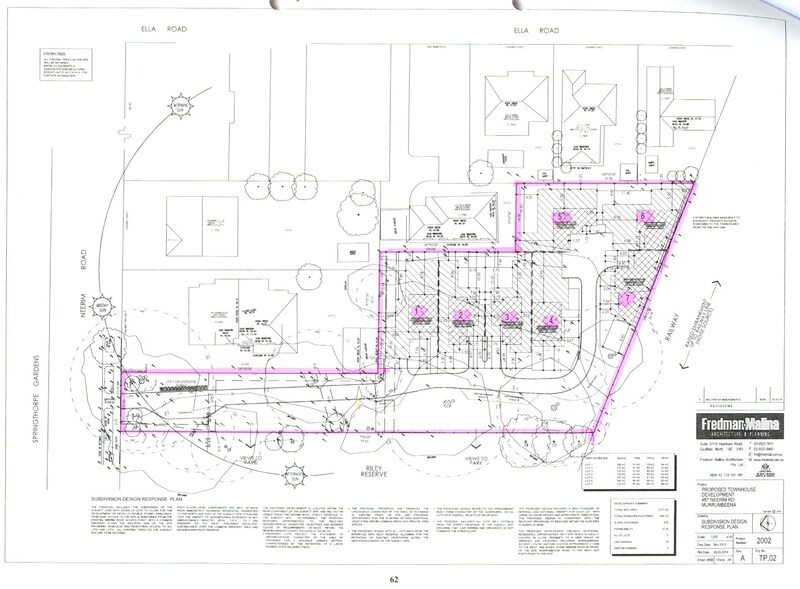 Residents can still object to a planning permit application on the a number of grounds (eg site coverage, prescribed setbacks, neighbourhood character, provision of private open space, and many other grounds), however, height is no longer a valid ground for objection. 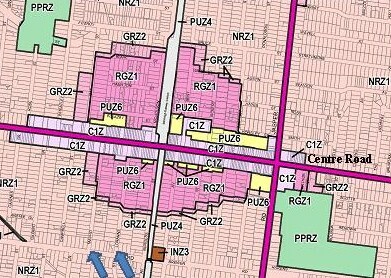 The number of emails GERA is receiving from residents of the high density zones, supports our previous criticism of Council’s implementation of the new zones – “the biggest planning change in Glen Eira’s history” – which was undertaken without actively informing and/or engaging residents. A major justification for this being residents’ extensive knowledge of the previously existing Housing Diversity/Minimal Change Areas – a justification which many residents dispute. We encourage residents to check which zoning applies to their property. Zone boundaries do not follow standard mapping conventions (eg. one side of a street may be high density but the other side may not, or, within the same street, No. 42 may be high density but No. 44 may not) and distances away from the centre of the high density area vary. GERA’s 11/2013 new zone posting “Where and What Are They” provides a brief outline of the “new” zones and access to zoning maps (“zoom down” for details on a lot by lot basis) which can be accessed from the Department of Planning or GERA’s website*. Residents should also confirm their property’s zoning with Council. The DPCD website may be slow in downloading the maps. Maps GERA downloaded 16/9/2013 are available and should be not be taken as current. GERA is not responsible for any map modifications since 16/9/2013. I have just received emailed advice from Council the Planning Conference for 24 – 26 Mavho Street will take place on 8 September 2014 at 6.30pm at the Glen Eira Council offices, corner Glen Eira and Hawthorn Roads, Caulfield. Meetings are open to the public. The planning conference is chaired by a Councillor and provides the opportunity for applicants, objectors and residents to make submissions in respect to planning applications that have been referred to a Council meeting for a decision. The conference provides a public and open forum where discussion of the proposal can occur between the parties with a view to identifying affected resident concerns, possible means for addressing the concerns and opportunities to improve the proposal. All objectors will be notified in writing of the date, time and place. Following the planning conference, the application will be referred to a Council meeting for a decision on 14 October 2014 at 7.30pm at Glen Eira Council offices, corner Glen Eira and Hawthorn Roads, Caulfield. Although the Council meeting is open to the public I do not believe there is an opportunity (subject to a ruling by the Mayor of the day) for the public to make submissions to the Councillors. Please make a note of these dates in your diaries and attend and get your key objection points together to speak to at the Planning Conference. It is a very informal environment but controlled so everyone is heard. In addition to the above, Councillor Oscar Lobo kindly attended Mavho Street on Sunday 24 August and walked the adjoining properties and our street. Councillor Lobo is a supporter of our objection grounds and he will assist us in advocating to the other Councillors to significantly reduce this inappropriate development. All Councillors are yet to receive their town planning and expert advice; however, it is unlikely the application can be completely rejected due to the Residential Growth Zoning. * So now is the time to get on the email and phone and lobby the Councillors especially our Tucker Ward members (Jamie Hyams, Oscar Lobo and Jim Magee) – we need a majority of 5/9 so get those phone lines burning – Councillor details below. Recent media coverage has highlighted the impact that Glen Eira’s 2013 implementation of the “new” planning zones has had on residents, in particular residents of the former Housing Diversity Areas. Unfortunately, GERA’s earlier prediction “that the impact of the Zones implementation will be felt far quicker than the impact of 2002 Minimal Change/Housing Diversity change was” is occurring much more rapidly than even we envisioned. One year on, residents of the former Housing Diversity Areas are experiencing an increase in high rise, multi-unit development planning applications (with waivered parking requirements) and significant traffic and parking issues. Some residents are opting to sell (either singly or collectively) and relocate while others are choosing to remain. One group of remaining residents has forwarded to us, the below unedited posting outlining the changes occurring in two streets (Mavho and Loranne Streets) within the Bentleigh Urban Village. It raises issues that need to be addressed at both a State Government (provision of sustainable public transport) and Council (provision of traffic and parking management) level. The residents of Mavho Street and the adjoining Bentleigh area have had enough. A greedy development proposal for 24 – 26 Mavho Street could be the third dense unit dwelling development potentially adding 28 units to the street. To put our outrage in to context readers need to be aware that Council has already approved planning permits for no. 32 (10 dwellings 3 storey) and 39 and 41 Mavho St (27 dwellings 3 storey) with reductions in visitor parking. To add more insult there is also a proposal in at 29 – 33 Loranne Street (27 dwellings 4 storey). We ask Glen Eira Council and the State Government pay due respect to our neighbourhood and the rates and tax payers and that developers be made to construct appropriate and responsible dwellings. We understand the concept of the Urban Village but the proposal for 24 – 26 Mavho will create a situation where living is becoming denser, not transition, as you come further south from Centre Road. The 24 – 26 Mavho Street plans are for a 4 storey apartment block (the approved permits, which are closer to Centre Road, are only for 3 storeys). Despite the sheer bulk of these dwellings and their impact on the amenity of the area we have grave car parking and traffic concerns. Those who live in the area are already feeling the strain of having to navigate parked cars and traffic, whether you are in a vehicle, on a bike or a pedestrian. We are even starting to hear stories of how ambulances cannot park to gain access to patients! Despite residents ‘real life’ experiences the expert traffic reports submitted with the planning applications continue to take and report inappropriate car parking samples which Council accept. Meanwhile those of us that actually live in the area and use the roads and footpaths are feeling the traffic and parking pinch. The proposed underground car parking to these new apartment dwellings only take the cars off the street for a limited time, we still have ingress, egress, give way issues especially as we get closer to Centre Road. This is then impacting onto Brewer Road and surrounding streets and arterials. These apartments are also going to put a significant load on infrastructure and services. Our street sweeper cannot perform its job and the build up of rubbish could lead to rodent infestation issues which could affect not just residents but our cafe/food operators which we love and enjoy in Bentleigh. Adjoining owners to these developments are going to lose privacy due to inadequate setbacks. No matter what sort of ‘window treatments’ you use to create privacy people need to be able to look out of their windows so this will affect the enjoyment of both old and new residents to our area. Worse still these developers often do not even live in Glen Eira. They come into our neighbourhood, dig it up, build inappropriate structures and do not have to live next door to what is left behind. What has happened to the dual occupancy townhouses which are much more in keeping with our demographics? Please help us defend Mavho Street – if you don’t these types of developments are going to end up next to your home.